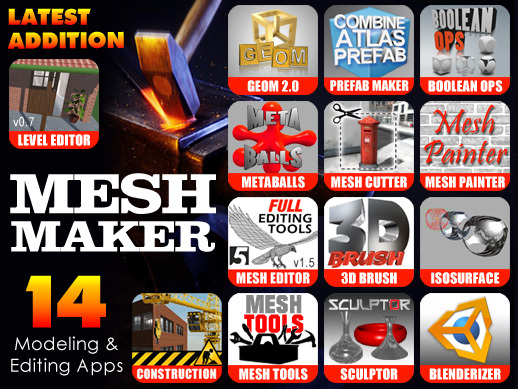 The latest addition to the Mesh Maker collection is now available. 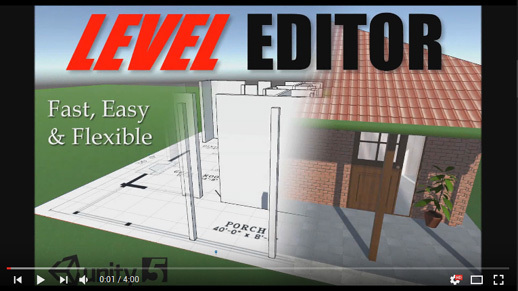 The new utility is called Level Editor and it allows you to create new buildings, models and quickly prototype your levels right in the Unity editor. The program uses an intuitive point and click design style that is very fast and flexible. With a little practice you’ll find this program great for not only prototyping but also for creating very detailed meshes and prefabs for your projects. The standalone version of Level Editor is still under review by the Asset Store team so we hope that will be accepted within the next week. This is a quick preview video which highlights some of the features included with the new program as well as the first videos in the tutorials. These videos will be followed by more advanced tutorials so please subscribe to be notified when the new videos are released. The Level Editor program is still in Beta v0.7 and we are working hard to iron out any bugs as they appear. If you find a problem or have a suggestion for how to improve the program then we would love to hear from you. Thanks for your support while we worked on this new utility and we hope you find it to be the fastest and easiest (and fun) way to create level geometry in Unity.